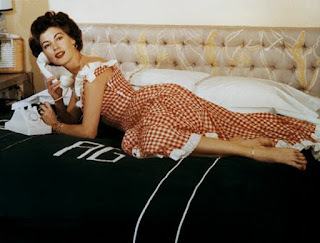 Ava Lavinia Gardner was born on December 24, 1922, in Grabtown, North Carolina. She was the youngest of seven children. In 1941 an MGM talent scout saw a photo of Ava and arranged for her to have a screen test. When MGM president Louis B. Mayer saw the test he said "She can't act. She can't talk. She's terrific". Shortly after arriving in Hollywood Ava began dating actor Mickey Rooney. They married in 1942 but she left him a year later for cheating on her. 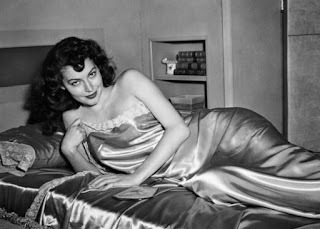 Ava got small parts in movies like Ghosts On The Loose and posed for endless pin-up photos. She married bandleader Artie Shaw, ex-husband of Lana Turner, in 1945. 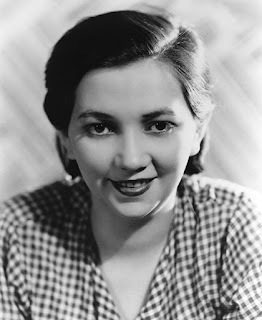 Her first leading role was in the 1946 film-noir The Killers. More hit films followed including The Barefoot Contessa, Showboat, and One Touch Of Venus. Ava divorced Artie and became romantically involved with actor Robert Taylor and billionaire Howard Hughes. In 1948 she started having an affair with married superstar Frank Sinatra. He divorced his wife and they were married. Ava became pregnant but she had an abortion because her marriage to Frank was so rocky. She left him in 1953 but they continued to see each other for years. In 1954 Ava was nominated for an Academy Award for her performance in Mogambo. Tired of living in Hollywood she decided moved to Spain. She spent her time flamenco dancing and going to bullfights. Ava had a torrid romance with bullfighter Luis Miguel Dominguin. In 1968 tax problems forced her to move to England where she would spend the rest of her life. 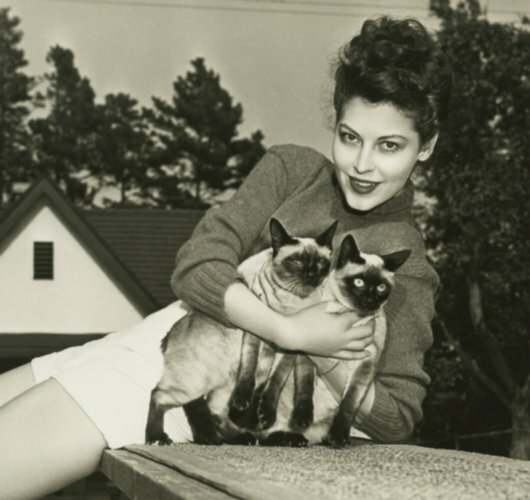 Ava continued acting in movies and on television until she suffered a stroke in the 1980s. She died on January 25, 1990 from pneumonia. Ava is buried at Sunset Memorial Park in Smithfield, North Carolina. Her autobiography, Ava: My Story, was published after her death.